Once a year, we invite lawyers in each state to nominate the top attorneys they've personally observed in action. 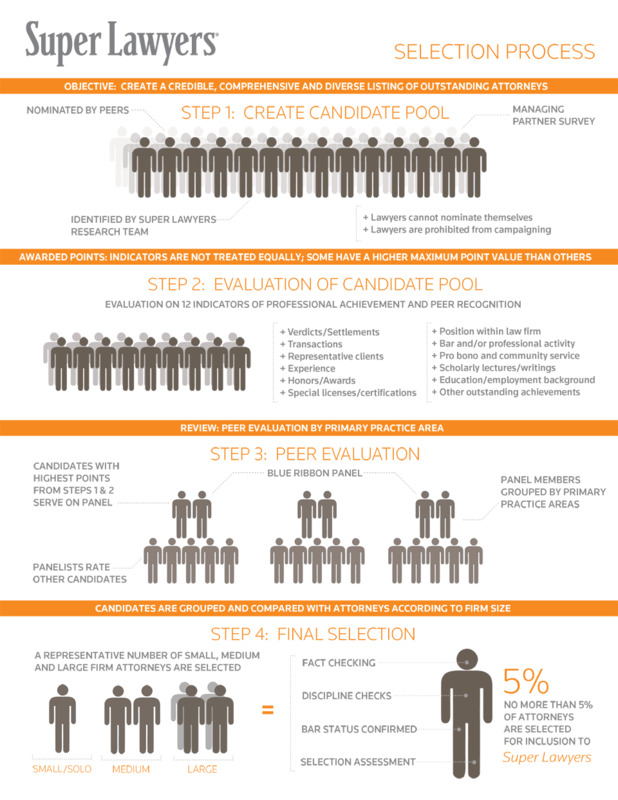 Lawyers may nominate attorneys in their own firm, but these nominations count only if each in-firm nomination is matched by at least one out-firm nomination. 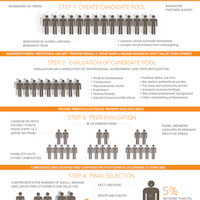 Most of the lawyers we identify in this process have also been nominated by their peers. Occasionally, however, we find outstanding lawyers who have been overlooked in the nomination process. These may include: lawyers with national litigation practices who rarely appear in the courts of their home jurisdiction; lawyers in smaller firms or from smaller communities; and lawyers practicing in less visible or highly specialized practice areas. The research staff checks each candidate's standing with the local licensing authority. Each candidate is asked to aver that they have never been subject to disciplinary or criminal proceedings. The inaugural London selection will be published in March 2013.